Perfect for poorly ventilated areas such as bedroom, wardrobe, storage room, kitchen, closet, bathroom, basement, wall, home, small room, ect, prevent your clothes, books and other items been mildew and damp, provide you a more comfortable and tidy living condition. The capacity of the water tank is up to 700ml, easy to dismantle, you can clear it 1 or 2 times a week according to the humidity in the air to prevent dust from blocking the fan inlet; The built-in automatic shut-off sensor can prevent water from overflowing, this smart electric dehumidifier would be your best choice. 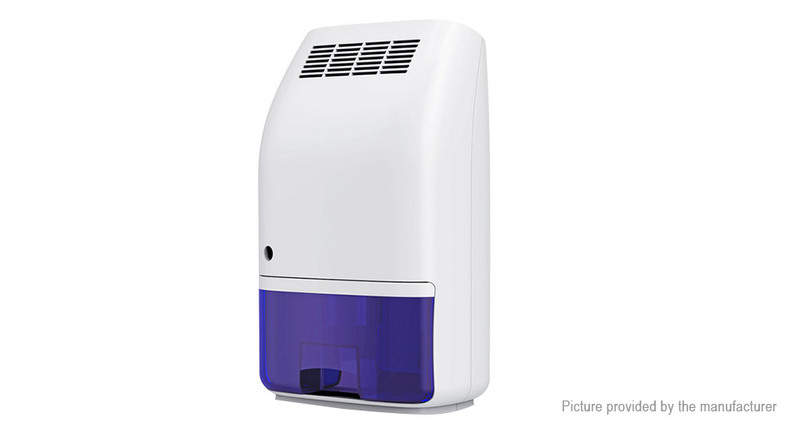 Noise is mainly caused by the compressor inside dehumidifier, the mini dehumidifier applied peltier semiconductor cooling technology to remove humidity, which eliminate the needing of compressor inside dehumidifier, the noise is lower than 33db that you can&apos;t even feel its existing when working. Note: The dehumidification is affected by many factors (temperature, humidity, house area, etc). When using the dehumidifier, closing windows and door can make it play a better role.